Cimolai Technology has just completed the assembly and the commissioning of a mobile straddle transporter MST 130 ton for VSL in Doha, Qatar. 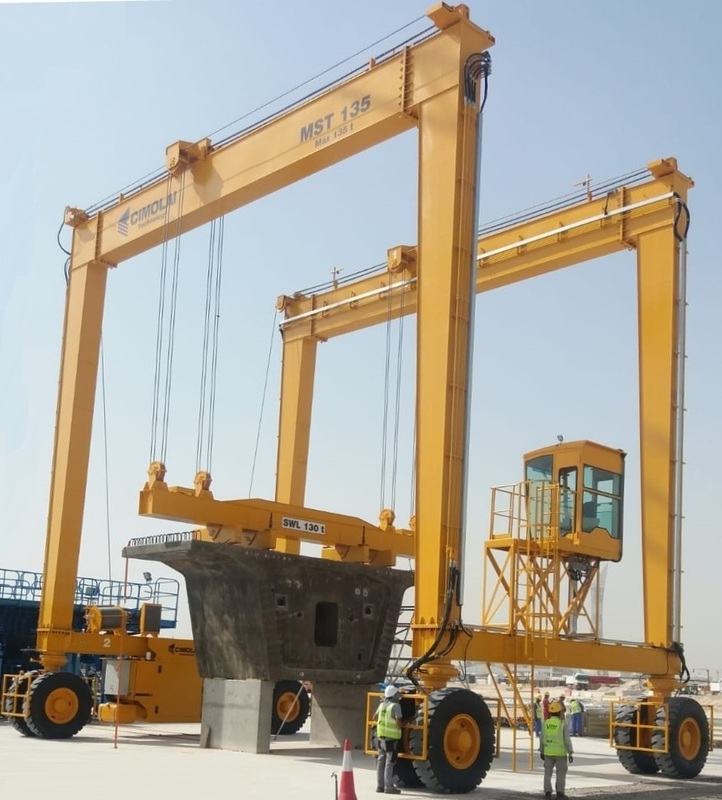 The equipment is provided with two lifting points and is used for handling and transporting approximately a thousand of precast segments required for Al Bustan South Project. The clear width of this MST 130 ton is 12,6 m, while the height under spreader is 11,6 m. The portal crane is commanded by a remote control and is also provided with a cabin equipped with seat and control board.